E-TracX DJ Skool is one of the most established DJ Schools in Singapore and Asia. It was set up in 2003, and is led by a team of talented, experienced, and dedicated DJs, Turntablists, and Music Producers. Our DJ academy serves as a premier training and learning centre for aspiring and amateur DJs. To date, E-TracX DJ Skool has trained countless students of various ages, nationalities, and backgrounds. From secondary school students, doctors, engineers, bankers to even students from UK, US, Egypt, Brazil, Africa, Japan and Mongolia, just to name a few. With a carefully outlined curriculum, experienced, dedicated & professional instructors, commitment to our students, and based on our students’ success in the industry, we are confident to say that, at E-TracX DJ Skool you will receive all the education and support necessary to LIVE YOUR DREAM! 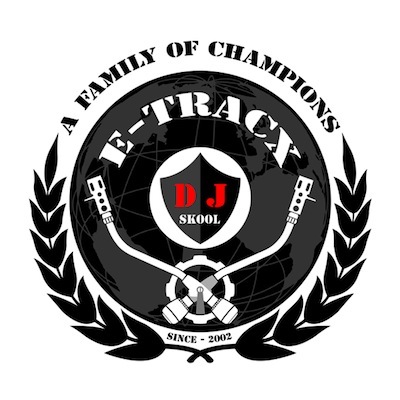 In addition to conducting in-house DJ courses and workshops, E-TracX DJ Skool conducts DJ classes at its clients’ premises. Our DJ & Turntablism Workshop / Course was endorsed by National Arts Council, and over the years, has received positive feedback.